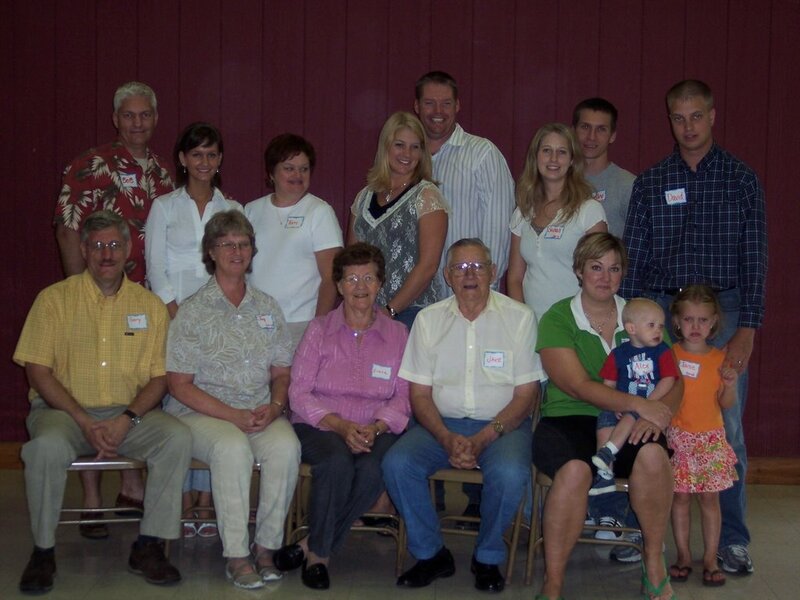 This weekend was Bob's Niemeier Family Reunion. This is Bob's mom's family. Irene is the oldest sibling in the group. We had 102 people there out of a possible 150 (or so!) 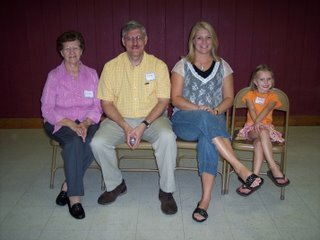 The food was awesome, David and Jeanne` brought their wonderful sloppy joes. Susan made these wonderful chicken dippers that were wonderful. I think Karen made the fried chicken but I forgot to ask her! Irene made ham, lasagne, meatloaf and Bob and Jake grilled hot dogs. The desserts and side dishes were to die for. Someone made a caramel apple pie, wonderful peach cobblers, moist brownies, chocolate cake, and so much more! Bob said he ate some macaroni and cheese that was awesome. I loved all the potato dishes and salads. We should print a family cookbook! In one photo you will see Irene (the oldest sibling) Gary (the oldest grandchild) Karen (the oldest great grandchild and Janie (the oldest great, great grandchild) Another photo is of our family.